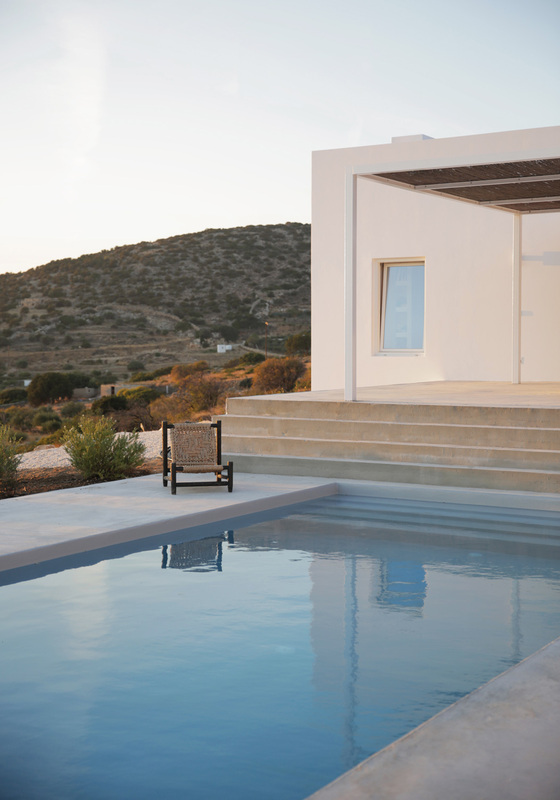 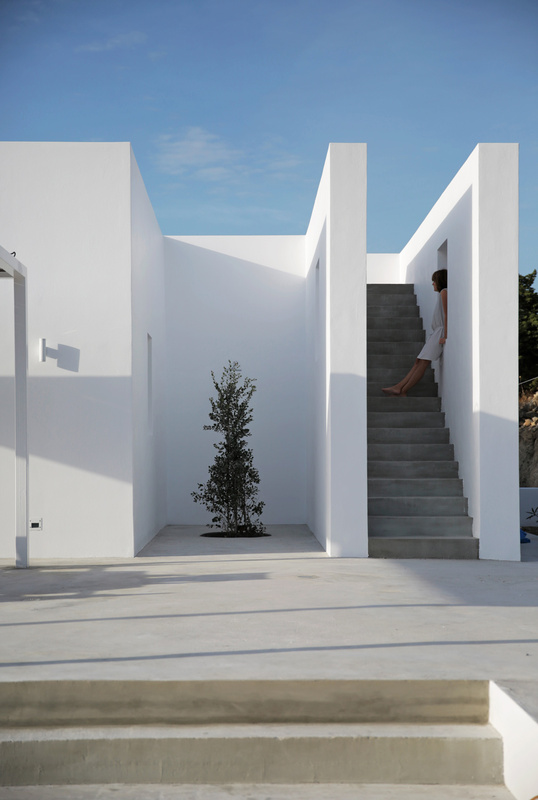 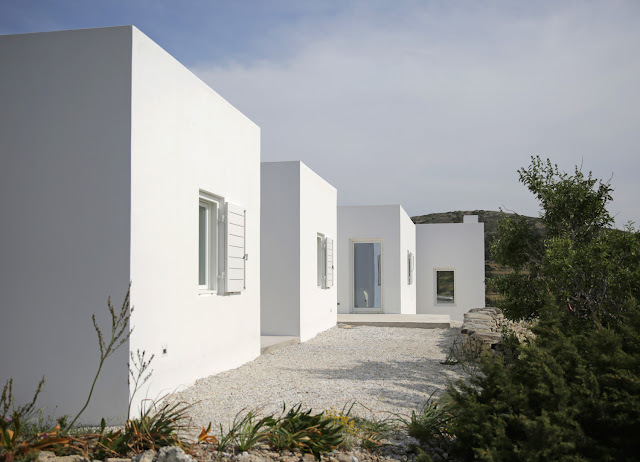 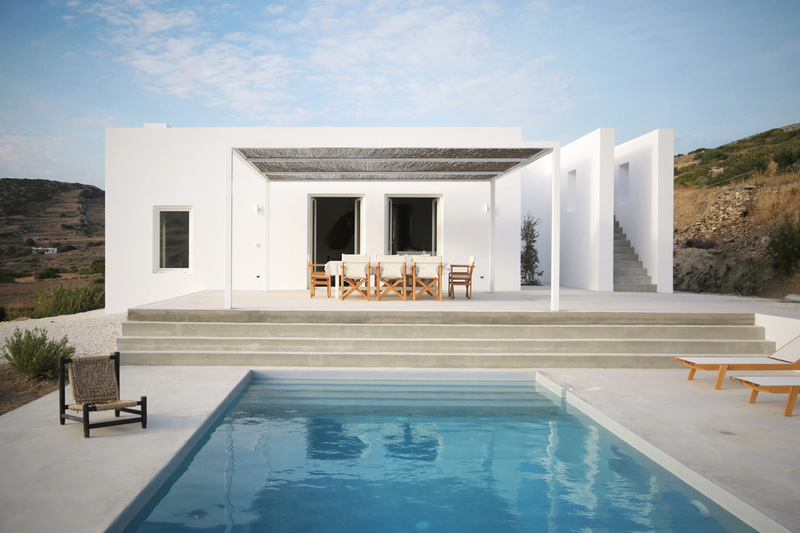 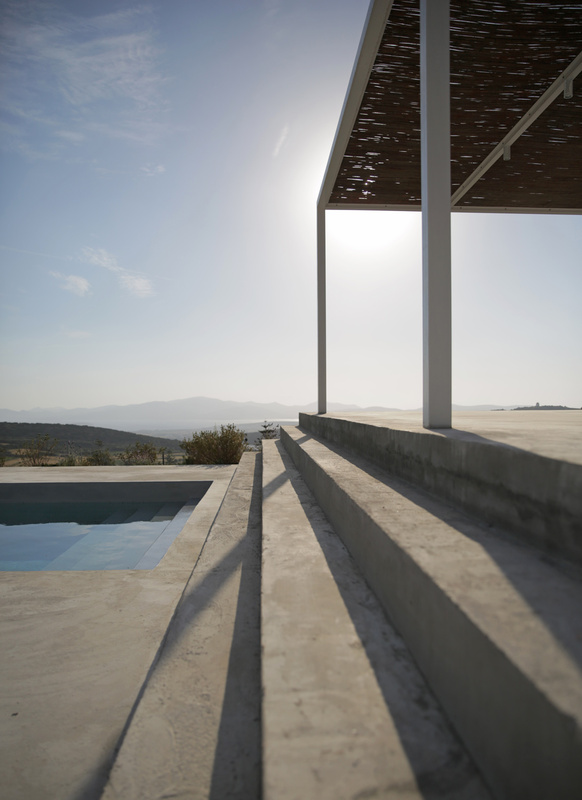 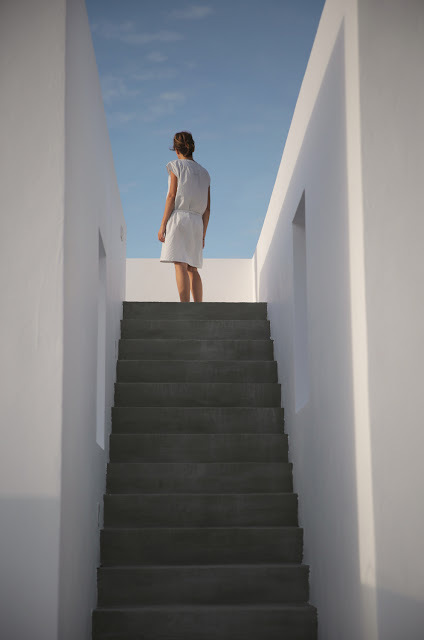 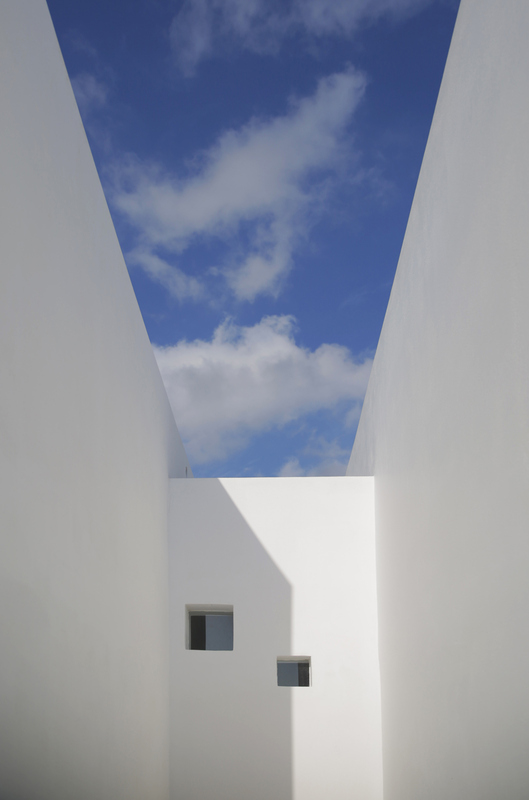 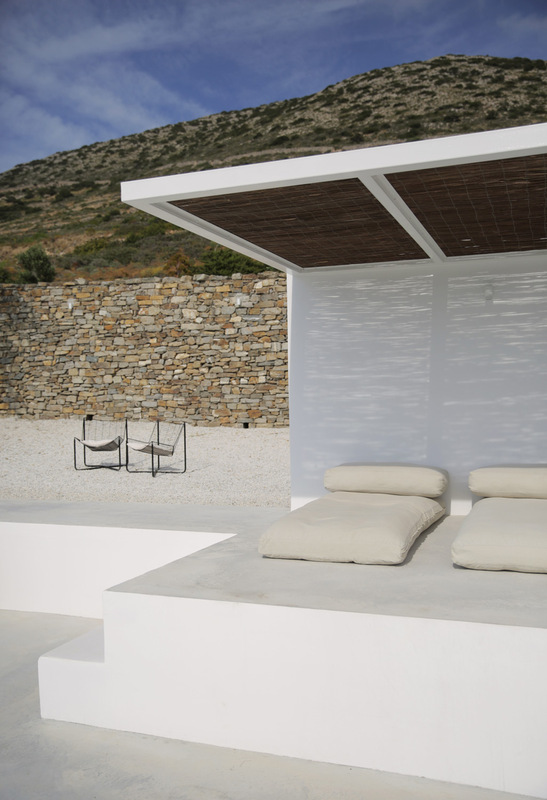 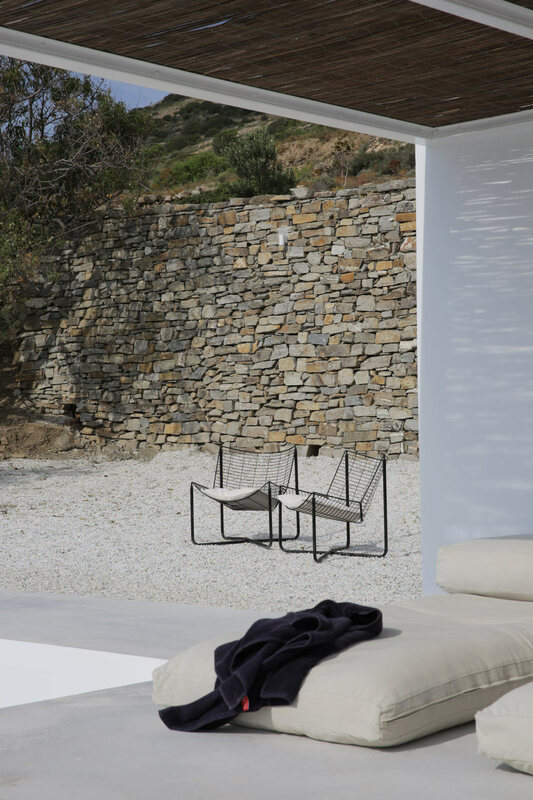 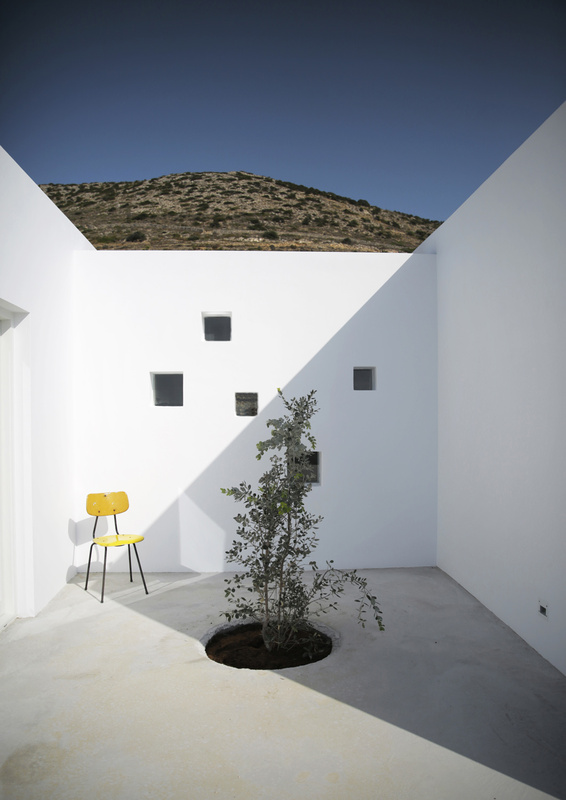 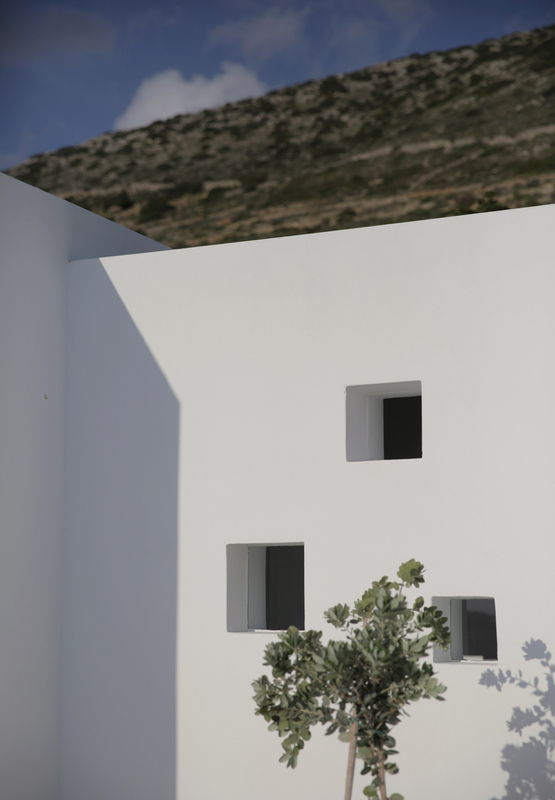 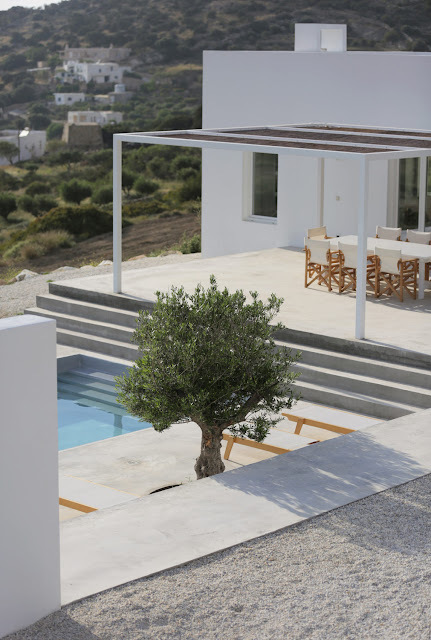 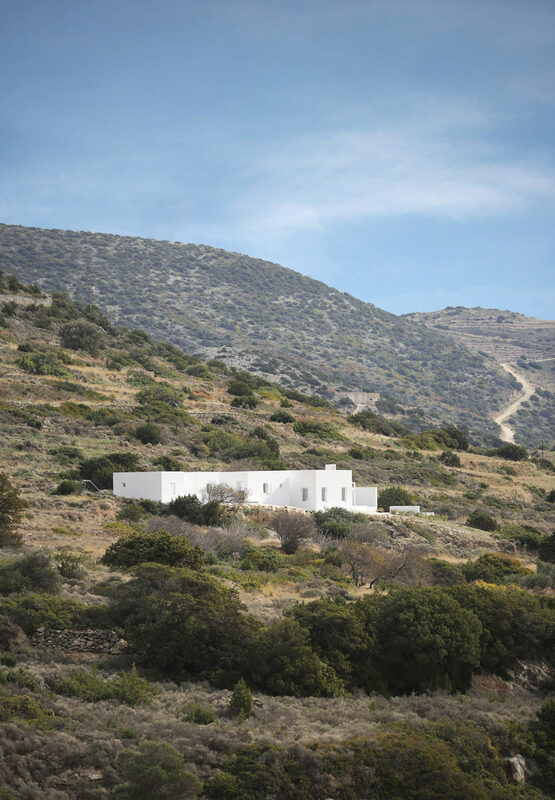 Maison Kamari is a dream minimalist summer house on the island of Paros in Greece, designed by Athens/Paros based React Architects, who reinterpreted cubic Cycladic architecture with a modern and minimalist approach in a harmonious balance. 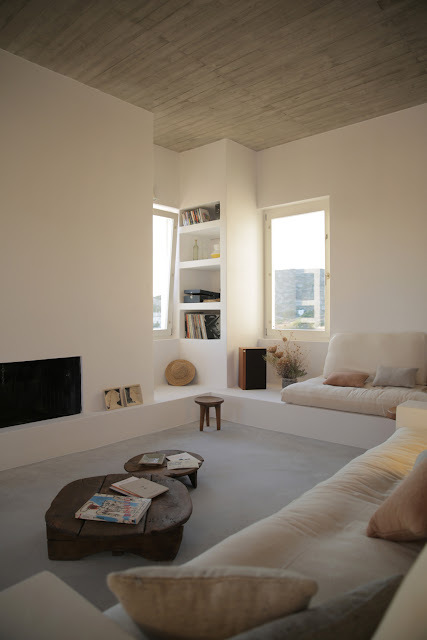 “Maison Kamari is located on the island of Paros in the settlement of Kamari. 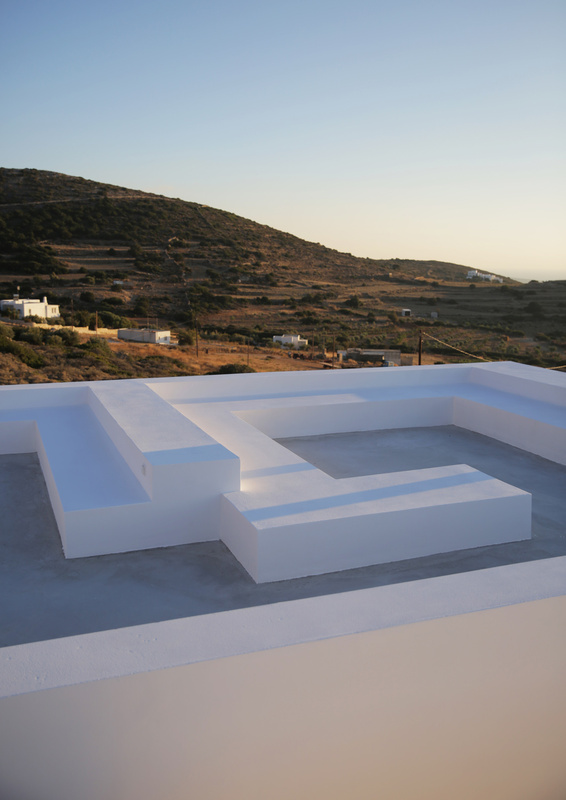 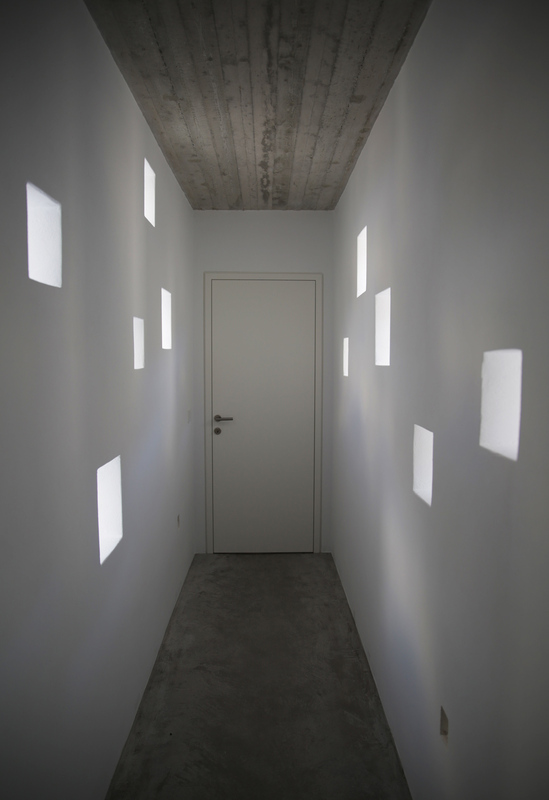 For this project, the architects Natasha Deliyianni and Yiorgos Spiridonos, (REACT ARCHITECTS) have reinterpreted the cubic cycladic architecture with a modern and minimalist twist. 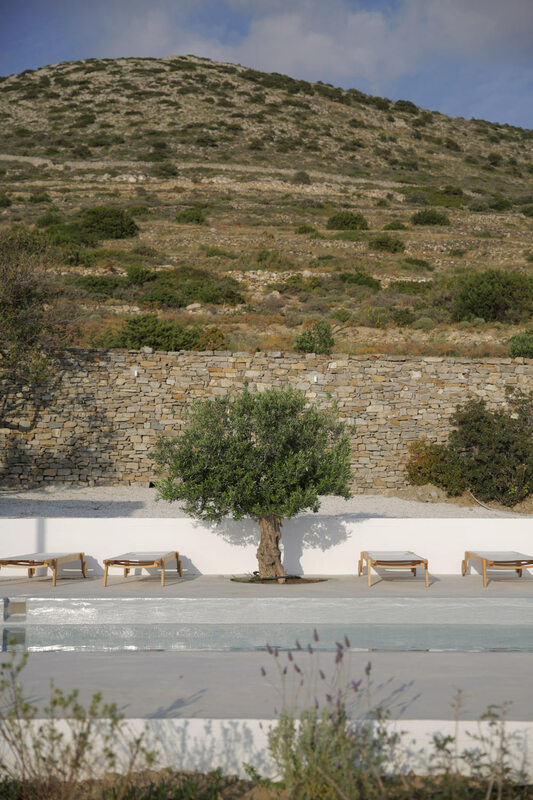 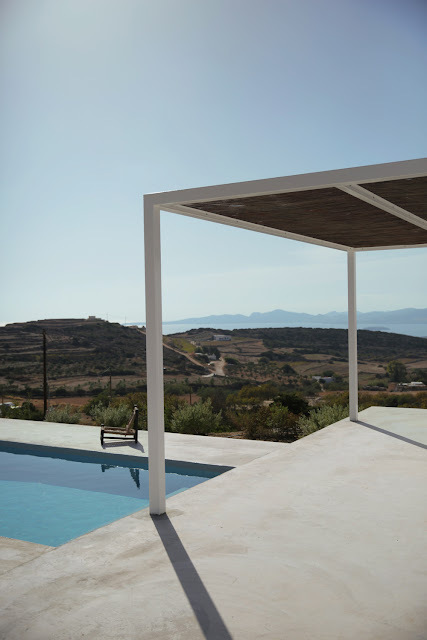 The house and the pool have been positioned on the plot in such a way that one can fully enjoy its amphitheatrical view on the valley, the Aegan sea and Antiparos. The design of the main terrace’s stairs is an invitation to the water as they lead to the bottom of the pool, following the natural curve of the plot. Another staircase, baptised “THE EXPERIENCE” by Yiorgos Spiridonos, leads to the amazing rooftop and offers a splendid panoramic view on the mountain and the sea. 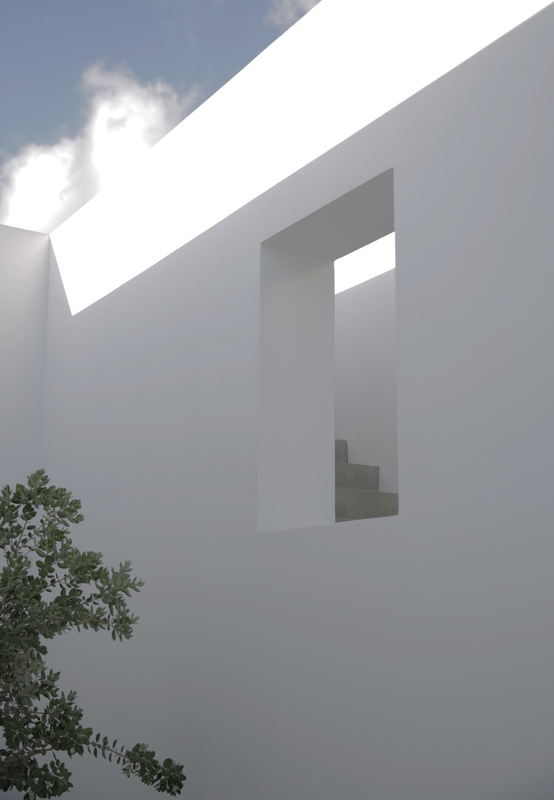 a filmmaking / art direction / music composition duo, with a shared aesthetic preoccupation and common language, so they were deeply involved with the design and execution from the project’s conception. 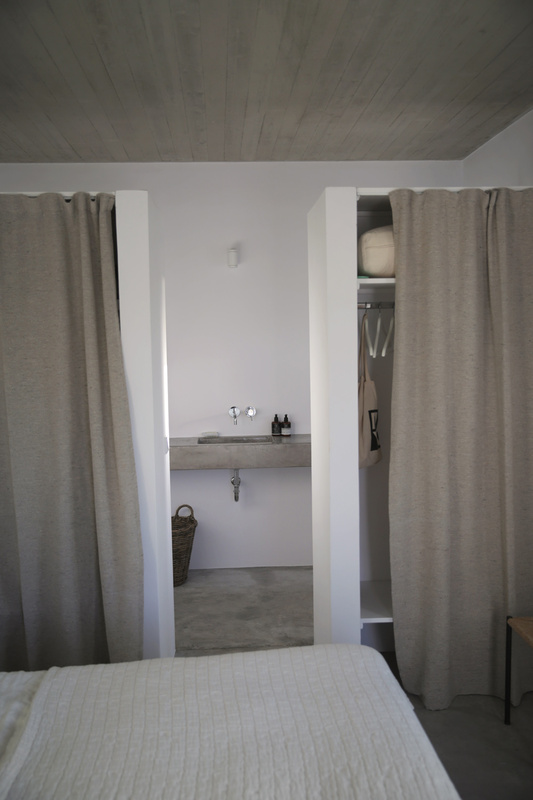 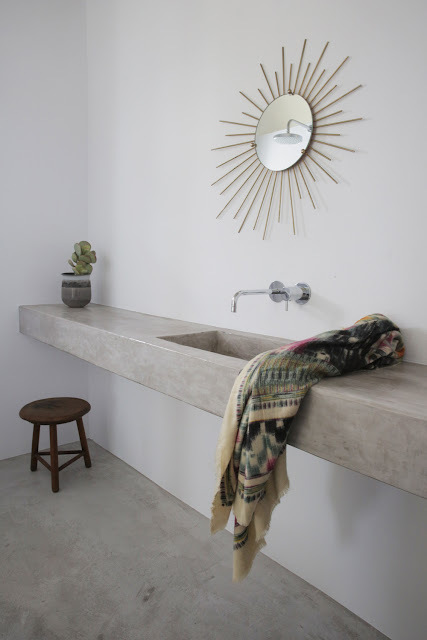 Intimacy, cosiness, and comfort were key elements, and the bedrooms and their en-suite bathrooms are physically separated from each other for privacy. 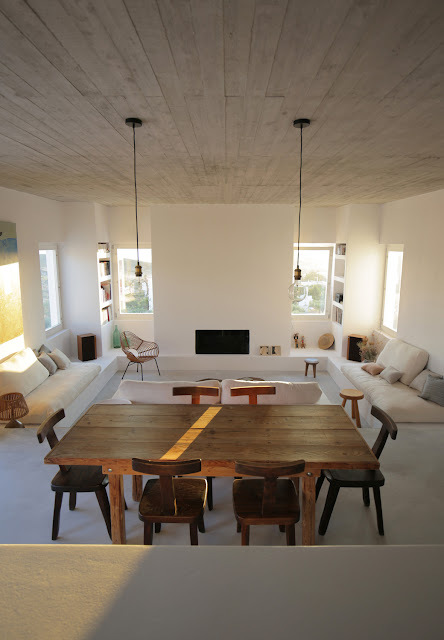 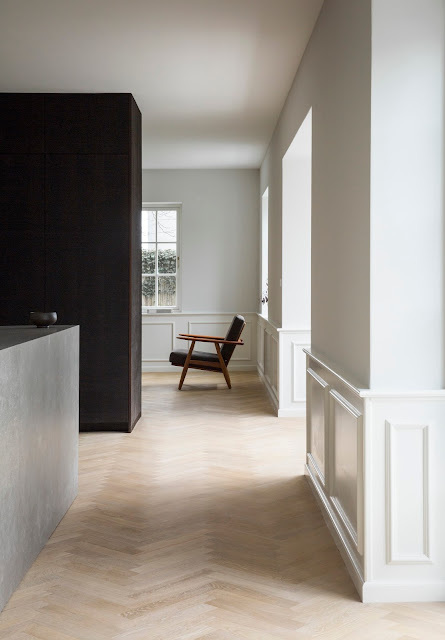 As for the living room and the kitchen, conviviality, livability and minimalism were a real obsession when conceiving the interior architecture.